Hane, Mikiso. Peasants, Rebels, Women, and Outcastes: The Underside of Modern Japan. Neary, Ian. The Buraku Issue and Modern Japan. Neary, Ian. Political Protest and Social Control in Pre-War Japan. This map, of Tokugawa Era Kobe, touched off a bit of a storm when the Kobe city government tried to sell it off. 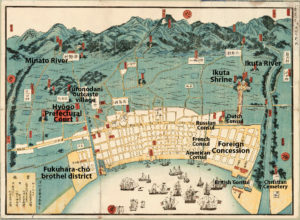 The map — redone here by the fine folks at Japan Focus with English translations — includes a label locating Kobe’s “Eta Town”, which caused the Buraku Liberation League to protest its sale. 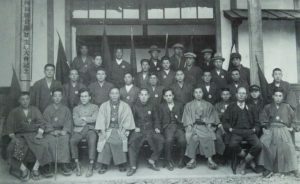 The 4th congress of the Asakura branch of the Suiheisha, c. late 1920s. 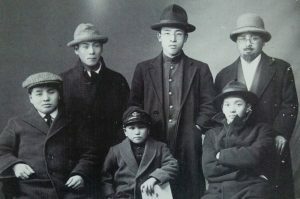 Matsumoto Jiichiro, who started his career in the Suiheisha before going on to be a founding member of the Buraku Liberation League. 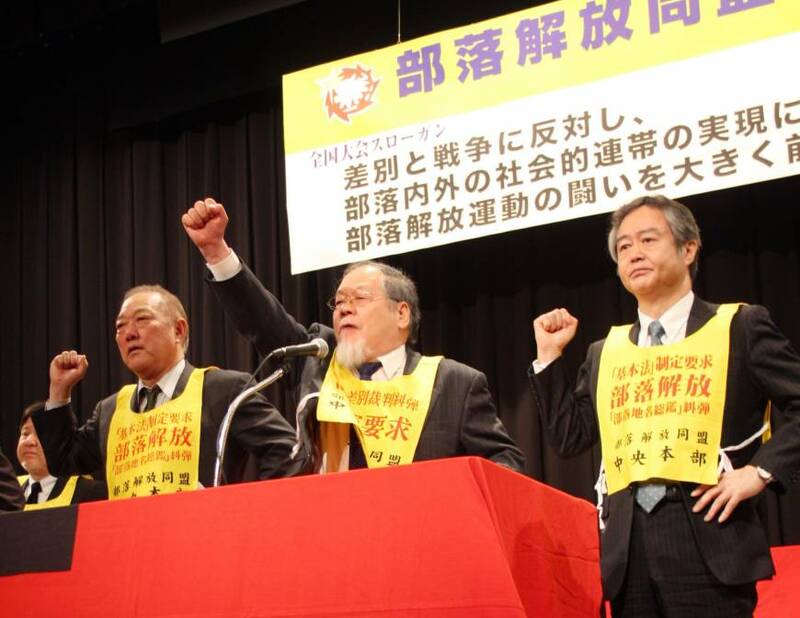 He’s probably the most famous activist in Buraku history. A Buraku Liberation League rally. 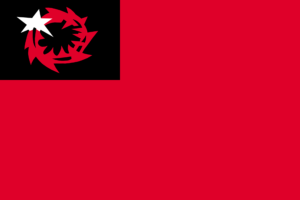 The flag of the Buraku Liberation League, and (minus the red field) of the Suiheisha before it. The design is supposed to be reminiscent of the crown of thorns worn by Jesus, an outcast who developed something of a following himself. 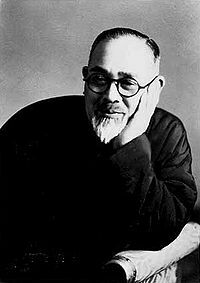 The design was done by Saito Mankichi, a Burakumin activist before World War II.